Want to subscribe to "Schnauzer News"? Keeps you up to date with news and events from the Schnauzer world in North America and the UK. Tells you about my latest adventures - including some fantastic days out in the British countryside. Sends you the next edition of the fiendishly clever Max's Dog Quiz. And it IS Really Simple. You’ll get automatic occasional updates from us without even providing an email address! You have control over what you read and when you read it. No need to visit the site again and again to see if there's anything new. You'll know about it within hours. No hassle, no Spam – and that’s a Schnauzer promise. To subscribe (no e-mail necessary), right-click on the orange RSS button - on the left of every page - and paste the URL into your RSS reader. If you're not sure what RSS is all about, read What is an RSS feed? Continue reading "Loving home for miniature next to Bournemouth Beach April 2019"
Continue reading "Lookig for a friend - loving home offered in the northwest for schnauzer April 19 "
Continue reading "Barking and barking and... there's nothing there..."
Continue reading "Mish, our rehomed from this site, looking for a pal. April 19"
Continue reading "A comfy home for the luckiest dog ! North Wales 25.03.19"
Continue reading " L.J. Evans"
Continue reading "Home offered north Wales for female Mini - 23rd March 19"
Continue reading "Looking to rehome a loving mini schnauzer 12 months-4 years, Cornwall, March 19"
Continue reading "lovely home offered Glasgow, after loss of our Mini, March 19"
Continue reading "Home offered for Standard Schnauzer with Lola, Bath, March 19"
Looking to rescue a mini Schnauzer, I had to say goodbye to my MS Arnie after 13 wonderful years, my other dog Billy is missing him so much, it’s heartbreaking. 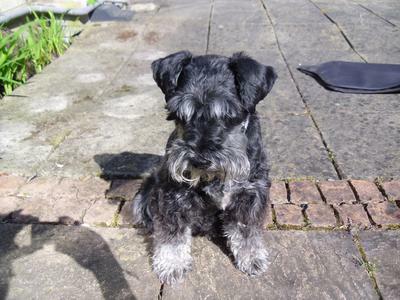 Continue reading "Good home offered to a Mini, Kent, March 19"
Continue reading "Mini Schnauzer begging in Newcastle upon Tyne "
Continue reading "Is my miniature schnauzer on heat?" Continue reading "Home offered for active Schnauzer, Wakefield Feb 2019"
Continue reading "Loving home in Devon offered to Mini. Feb 2019"
Continue reading "I need to rehome my 6 year old black male Giant, Michigan, Feb 19"
Continue reading "Tess the Standard Schnauzer is in need of a new home. Feb 2019"
Continue reading "London home offered to female Mini or Standard Feb '19"
Continue reading "A Loving home & country lifestyle offered to standard schnauzer,Feb 19 "
Continue reading "Mini Schanuzer wanted for loving home, Surrey Feb '19"
Continue reading "Two Minis in Kent, aged 4 & 6, need rehoming together, Feb '19"
Continue reading "Home needed for Mini Schnauzer Maggie, who is in Kent, - Feb 2019"
Continue reading "Mrs Jennifer Hughes"
Continue reading "Looking for a Schnauzer, Plymouth, Feb 19 "
Continue reading "Home offered for Giant Schnauzer Northern Ireland Jan 19"
Continue reading "Lovely home offered with another Schnauzer, Surrey, Jan 19"
Continue reading "Offering Forever Home for older mini - beach & countryside & comfy sofa, Jan 19"
Continue reading "Experienced home offered in Surrey - Jan 19"
Continue reading " Loving home offered, Glos. Jan 19"
Continue reading "A loving home and country lifestyle offered, Yorkshire.Jan 19"
Continue reading "home offered to mini schnauzer, Perth, Scotland, Jan 19"
Continue reading "14-y-o schnauzer in decline "
Continue reading "lovely home offered near Glasgow, Jan 19"
Continue reading "Experienced home offered in London after loss of Bertie. Jan 19"
3.5y-o Black & Silver Mini needs forever home, London,Dec -REHOMED!! Continue reading "3.5y-o Black & Silver Mini needs forever home, London,Dec -REHOMED!!" Continue reading "Home offered for Mini in New Jersey, Dec 2018"
Continue reading "Home offered in Satffs after loss of our 14-year-old Mini Dec 2018"
My husband and I are in our early 50s, fit and healthy, we live in North London with no family or other dogs but with access to a garden and local parks. Continue reading "Loving forever home offered to mini schnauzer, Dec 2018"
Continue reading "Heart available for mini girl needing a home 💗North yorks, December 2018"
Continue reading "Experienced home offered for one or two schnauzers, Somerset 01.12.18"
Continue reading "Home offered for mini in Manchester 29.11.18"
Continue reading "Experienced home in Staffs for Mini Schnauzer 29.11.18"
Continue reading "Giant Schnauzer wanted for loving family in Cornwall 28.11.18"
Continue reading "Home offered for Mini Schnauzer in North London 28.11.18"
Continue reading "Looking for another mini to be Alfie's pal, Essex 24.11.18"
Continue reading "cancer and chemo treatment "